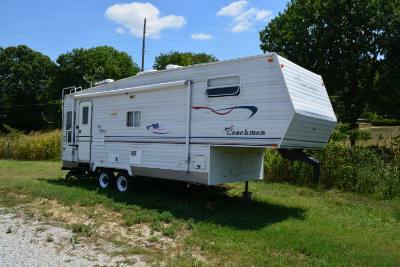 Fifth Wheels, Fifth Wheels, located in Laurie, MO, This camper is on order. More info & photos coming soon! Fifth Wheels, Fifth Wheels, located in Laurie, MO, More info & photos coming soon! Fifth Wheels, Brindle, Fifth Wheels, located in Laurie, MO, New Unit. More info & photos coming soon! Fifth Wheels, Brindle, Fifth Wheels, located in Laurie, MO, Incredible fifth wheel bunkhouse! 5 slides, 3 rooms, sleeps 9! Fifth Wheels, Brindle, Fifth Wheels, located in Laurie, MO, Beautiful 34'7" bunkhouse, 2 A/C's, 32" TV, outdoor kitchen, 2 slides! Fifth Wheels, Quarry, Fifth Wheels, located in Laurie, MO, WOW! Fireplace, Theater seating, 50" TV! 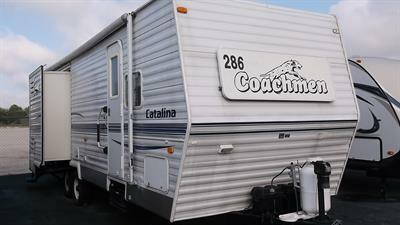 Fifth Wheels, Cream, Brown, White, Natural, cloth & faux leather, Fifth Wheels, located in Laurie, MO, LOADED with options - Including a KING BED, Fireplace, Theater Seating and MUCH more!! !